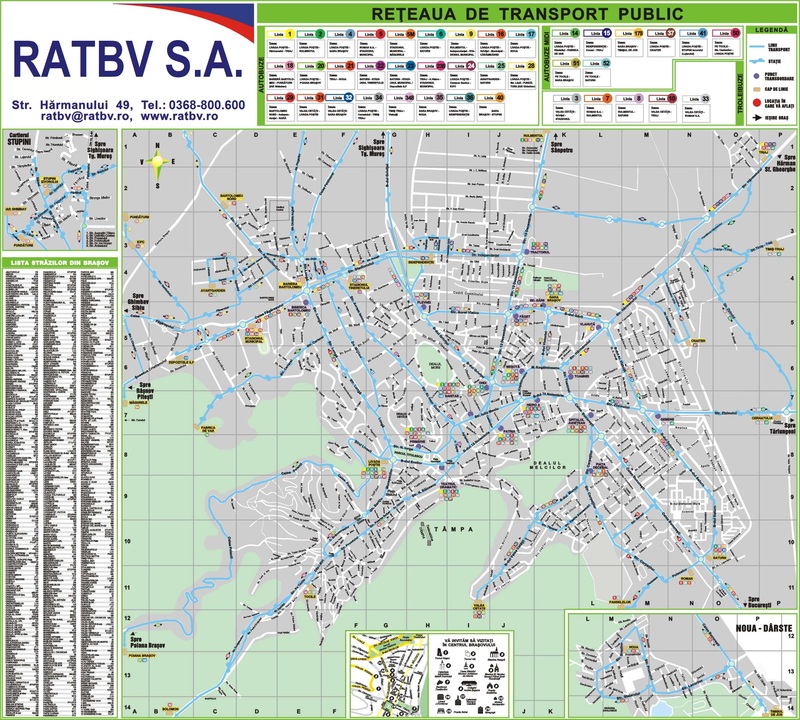 Brașov has an extensive public transportation network, so locals and tourists can choose to travel by bus or trolleybus. In addition, those interested in visiting the most important tourist attractions in the city center have at their disposal a city tour bus - Brasov City Bus Hop-on Hop-off. Please make sure you have purcheased the appropriate fare before boarding the bus. - travel passes (daily, one route, two routes, monthly, etc.). The passenger must validate the tickets immediately after boarding the bus. The ticket is introduced in the slot of the validator with the imprinted part (the arrow) up! The validation of the ticket is confirmed through a sounding signal emitted by the validator! The validation of the two travel ticket is differently made at every end of the ticket for every travel. The deterioration of the tickets (wet, crumpled) can determine the impossibility of validation. The ticket is not transferable! Travel passes are valid whenever accompanied by valid and correctly filled in ID. Travel passes are valid just solely on the routes printed on them. The travel pass is nominal and it is not transferable! With 'RATBV Card' you can recharge your card. You don't longer have to go to the ticket office to recharge your card. Receive email notifications about the actions related to your card. How to reach the main attractions in Brasov?